Chasqui Mom my blog name, I explained in an earlier post what Chasqui means, it's an Incan runner who would carry secret messages for the Incan emperor. They ran......a lot, from one side of the Incan Empire to the other. They ran so fast the Emperors could get fresh fish from Peruvian coast if they requested it. The Chasqui's had their tongues cut off so they couldn't talk about there secret messages, instead they carried their messages in a knotted rope system that no one to this day knows how to translate them. I'm rambling. I'm not an impressive runner, I'm slow but steady, average 10:30 min/miles. I run. I started running consistently since the end of June. Why? 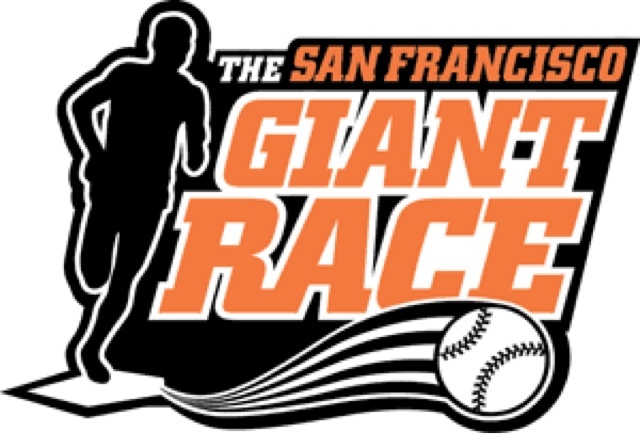 I signed up for the San Francisco Giants Half Marathon a few months before. I tried different exercises and diets to get my pre-baby body back but I could never be consistent due to crazy baby sleep schedules, constantly colds that would run through each family member at different times, etc. Excuses, excuses, some legitimate, some not, like "I just am too tired." Today, I ran 12 miles, the most I have ever ran in my entire life. From my house to Lake Elizabeth, three times around Lake Elizabeth (2.0 miles around) then the long way back home. I go through so many emotions while running that long. Happy, angry, sad, blah....lots of things go through my head for those two-ish hours. I pray, plan, stare at people wondering about who they are, what their lives are like, anything to keep me from thinking about how heavy my feet or legs feel. Today I saw a few people from my church walking and running and Lake Elizabeth. I also "met" another runner that was training, we just kept passing each other at the Lake that I think on our sixth time passing he yelled, "Good Job!!!" thumbs up sign, I said the same. That is Lake Elizabeth Central Park, with Mission Peak in the background. To train for this half marathon I done 12 weeks of pure running preparation, no cross-training other than the occasional hiking. I needed to be consistent with running, so my husband and I planned, made sure the kids could handle being with my husband for long periods of time. My two year old son has no problem being with daddy, but my daughter has had some issues due to her being extremely clingy to me, acid reflux, constantly being sick for almost two months. Either way the kids got used to mommy running, so much that my son would say, "Bye mommy, you running!!" Sometimes on my shorter weekday runs I'd take them if they were having a hard time being away from me. I'm really glad I started running. It gives me my mental and physical break from my kids five days a week. It has helped me lose some of my pregnancy weight, not all of it but I've slimmed down quite a bit. It helps me sleep better during my two hour intervals that my daughter allows me to sleep. Trust me if I can train for a half marathon consisting of minimal two-hour sleep intervals then anyone can train. I feel like I can take the world if I get four hours of uninterrupted sleep. Just glad that I've made it this far and in two weeks I can mark off one of the goals in my life which is to run a half marathon. Happy running! !